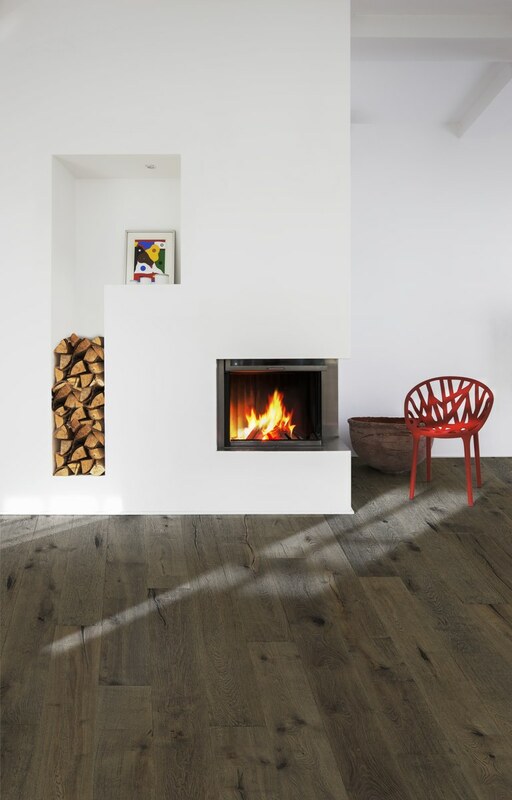 Add warmth to your home with the deep brown Kahrs Oak Ulf engineered wood flooring. 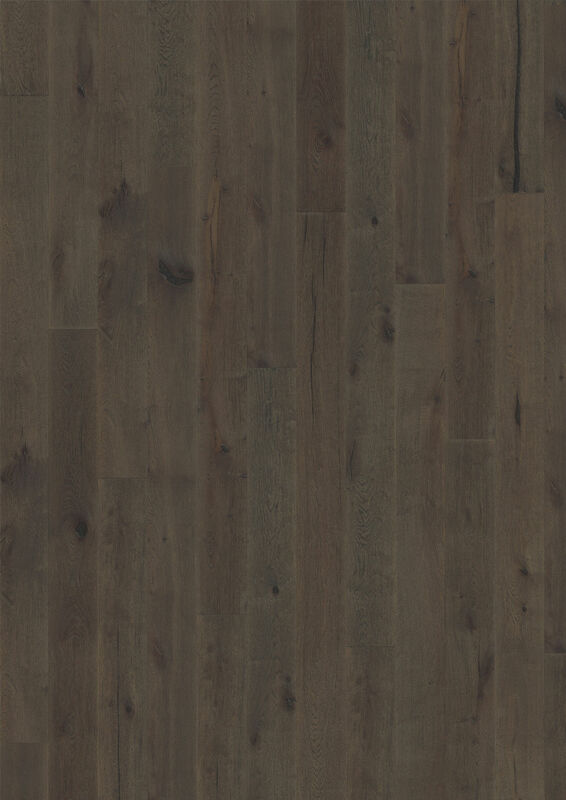 Each wide plank is stained to a dark grey to enhance the detail of the rustic grain markings. 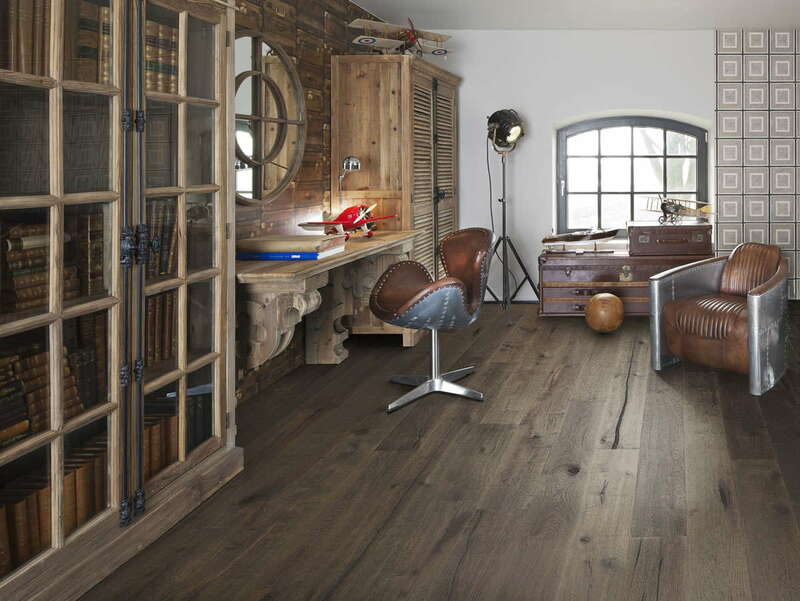 This designer flooring is made from the finest oak and is covered by 30 years domestic warranty.